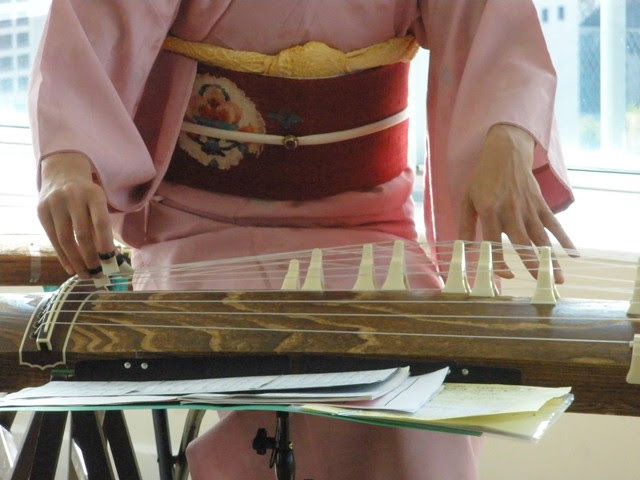 On September 29th, I was fortunate to attend A Celebration of Tea, an event featuring a Japanese tea tasting and koto music performance. 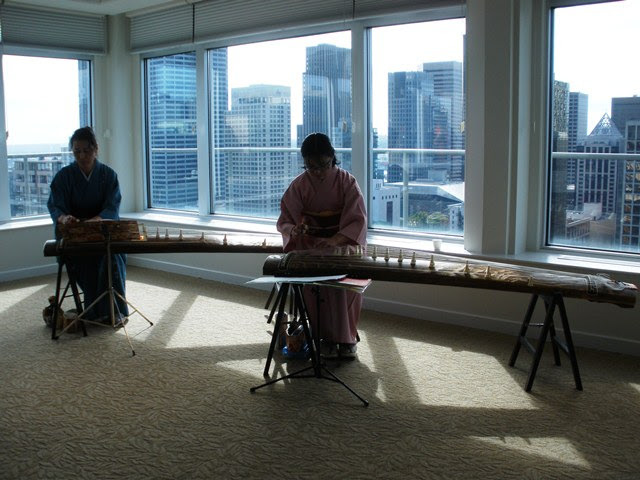 This event was hosted by the Friends of Asian Art Association, a Seattle-based volunteer organization that shares information and organizes events relating to Asian arts and culture. 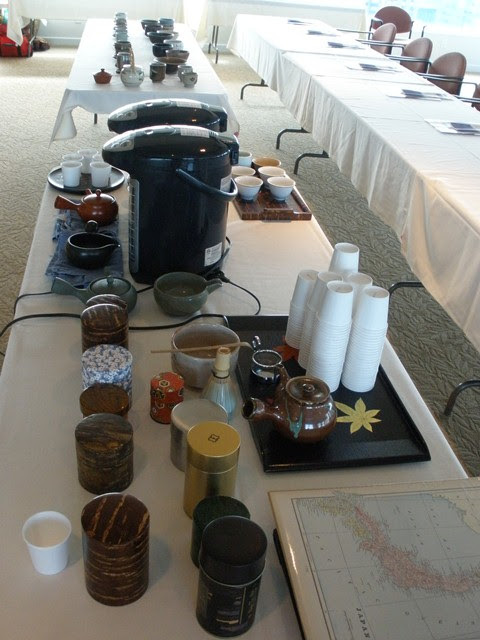 The event began with a presentation and tea tasting by tea specialist Tatsuo Tomeoka of Charaku Fine Japanese Tea. He provided a brief, but engaging history of tea in Japan followed by a sampling of a variety of teas. 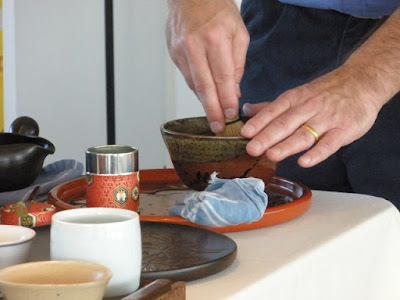 We learned the background and preparation methods for each of the teas, including a Kouchi Sencha from Shikoku, an Uji Sencha from Kyoto, a Fukamushi Sencha from Shizuoka, a Takachiho Tanaryokucha Sencha from Miyazaki, Genmaicha from Shizuoka, Hojicha from Kagoshima, Matcha from Nishio, and Gyokuro (I'm unsure of the provenance). 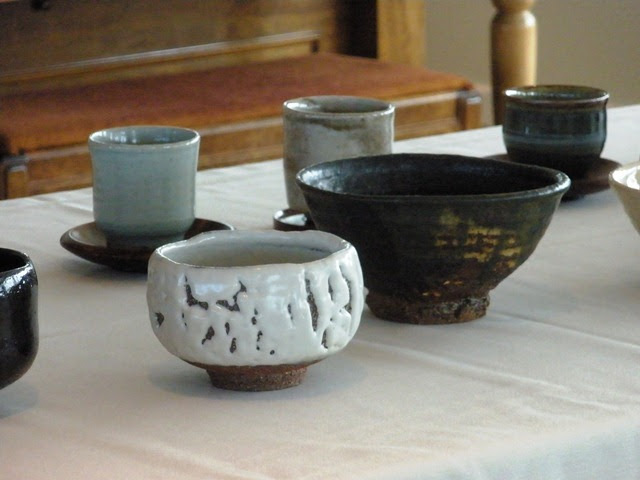 A variety of chawan (tea bowls), tea cups, and tea pots were also on display. The tea presentation was followed by a performance of koto music by Shiho Kurauchi, soloist and member of Silk Strings. The day started out cloudy, but the skies had cleared up and the sun made an appearance just in time to show off the incredible view from the Horizon House as a backdrop for the koto performance. We were treated to songs with an autumn theme and, my favorite, an original piece based on the principle idea of ichi go, ichi e (one chance, one meeting) in Japanese tea ceremony.